Are you wondering about how to become an entrepreneur? 1. Hate the Status Quo – It doesn’t make sense to you that something has been done the time-honored way with no explanation why. You are not someone who wants to just go through the motions or sit by idly. Nor do you like following the pack. 2. Easily Bored – You find yourself easily bored, and others start viewing you as a problem. But nothing is wrong with you except that you are bored with activities that aren’t up to your abilities and aren’t challenging. That’s why you hated most of the classes you ever attended. Think Bill Gates who dropped out of college to become one of the richest men in the world. 3. Fired from Jobs – You’re too creative for your own good when it comes to working for others, and you may have some history, as I do, of losing jobs. Being just a cog in wheel is very difficult for you because you want to create something others can be inspired by and contribute to. 4. Labeled a Rebel – You know that greatness resides outside the lines of conformity and don’t think that policies, laws and regulations apply to you. You have been described as a rebel and rule breaker and would defy gravity if you could. 5. Resist Authority – You have a lifelong record of resisting authority from your parents, teachers and bosses. You don’t go along with the agreed-upon norms of the group or community you work and live in. 6. Ready to Improve Everything – You always see how you could do things better. In addition, you are opinionated and freely give your two-cents about your better way of doing things–even when you’re not asked. 7. Bad at Making Small Talk – You have difficulty making the kind of small talk that so many people get comfort from. This social pattern of relationship and rapport building seems like a waste of time to you and makes you uncomfortable. 8. Bullied in Your Youth – You may have been heavily criticized, picked on and even bullied as a child or teenager. This has caused you to be driven to excel and to prove to the world that you are indeed a force to be reckoned with. 9. Obsessive – You may have been labeled obsessive/compulsive because when you get started on something you have difficulty letting go. Don’t let anyone convince you that this is a disease or deficiency. All of the great entrepreneurs become completely immersed in their vision. Howard Schultz stuck with Starbucks even when his family tried to persuade him not to. 10. Scared to Go Solo – The entrepreneur in you is scared of going out on your own—and also terrified of not doing so. This fear is so common in our society because we’ve been conditioned to think that entrepreneurship is much riskier than getting a “good job.” The reality is there is instability in both. 11. Unable to Unwind – You can’t go to sleep at night because you can’t turn your thoughts off. An idea may even manifest itself in your dreams. The next morning you find yourself still consumed with that idea, distracting you from the job you’re supposed to be doing. 12. Don’t Fit the Norm – You have always been a bit uncomfortable in your own skin. Until you get used to the idea that you are in fact different from most people, it could prove to be a problem–or exactly the motivation you need to acknowledge the entrepreneur screaming to get out. Having these entrepreneurial qualities doesn’t make you automatically an entrepreneur, but you have really good chances to be one of them. You can see some more interesting articles about entrepreneurship in our Entrepreneur School section. Please share this article, if you enjoyed it! 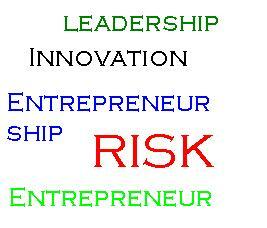 So, are you a natural entrepreneur? It would be cool to share your thought on the matter below. It will be also great to tell us how you find this post. We would love to improve your experience on the site. If you liked it, don’t miss checking our some other related posts from below.